If you liked the brief clash between Jessica Lange and guest star Zachary Quinto in the first season of American Horror Story, get ready for a whole lot more of it. 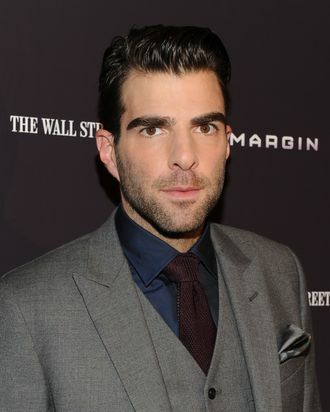 Deadline reports that Quinto has signed on to co-lead the second season, and he’ll be playing the antagonist to Lange’s character, who also recently negotiated her return to the show. Both will be playing different characters than they did in season one, and Deadline claims that in addition to the other returning players whom Murphy will announce tonight, there’s still a male co-lead yet to be cast. Murphy has previously indicated his desire to sign a big-name feature actor for the new season, so with all the other roles filling up fast, will that be the place he makes his mark?